It is with great pleasure that Roadmaster Booking announces the dates of the European tours HABORYN (Ven). 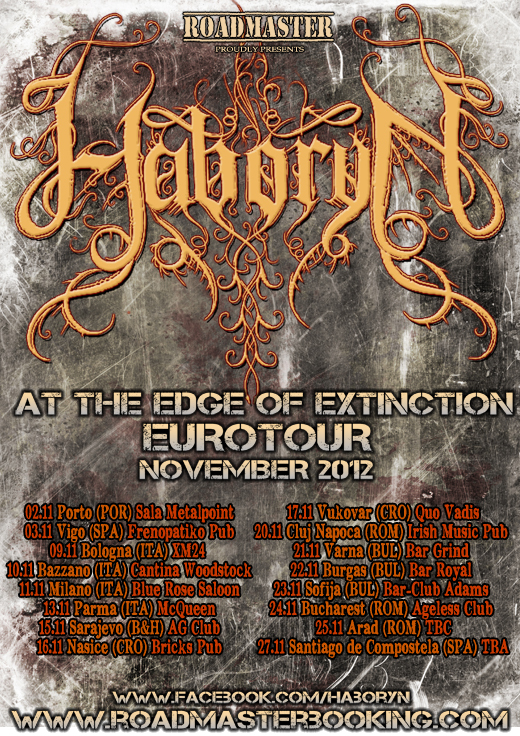 The Venezuelans will be doing their first European Tour, to promote its new album “At the Edge of Extinction”. The tour includes 16 shows in 7 countries: Portugal, Spain, Italy, Bosnia, Croatia, Romania and Bulgaria.